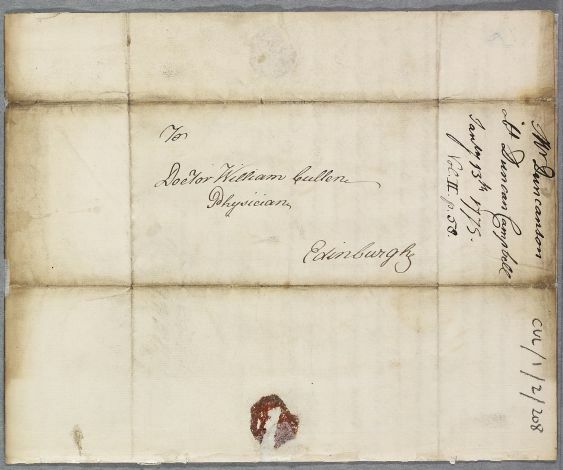 Letter from John Duncanson and Archibald Campbell, regarding Duncan Campbell (son of Captain James Campbell), a young child with swelling in the maxillary glands followed by a tumour in the neck. 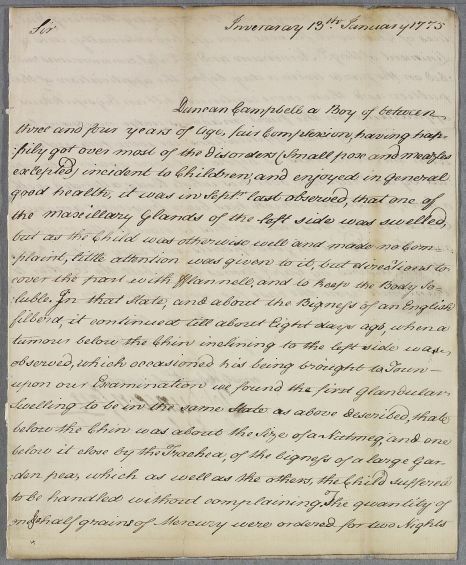 Summary Letter from John Duncanson and Archibald Campbell, regarding Duncan Campbell (son of Captain James Campbell), a young child with swelling in the maxillary glands followed by a tumour in the neck. 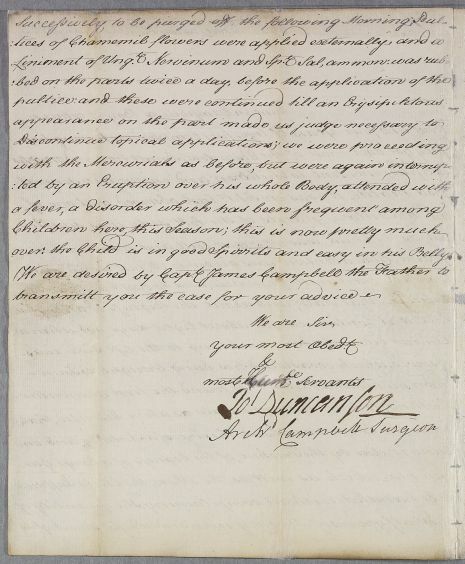 Case of the young ('little') Duncan Campbell who has swollen glands and a tumour in his neck. over: the Child is in good Spirits and easy in his Belly. 1: Older variant of 'filbert', the hazelnut (from wild and cultivated trees of the genus Corylus), which are normally 1-2 centimetres in length.